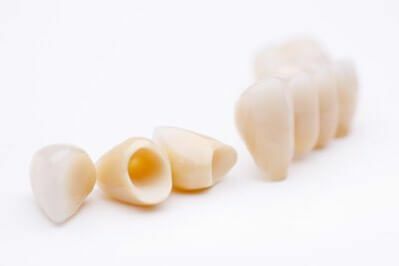 If you have a damaged tooth and want to restore it, but don’t want implants, crowns are the ideal solution. They can be used to restore the shape, appearance, and function of a tooth. After placing a crown, the tooth regains its natural appearance. A dental crown is a solid shell that covers existing teeth permanently. The crown is usually made of porcelain, but other materials can be used depending on the tooth, its location, and the desired appearance. Crowns are cemented over the tooth in question and match the rest of your teeth to preserve function and appearance. Unlike dental implants, a crown does not require surgery. The dental crown rests directly on the natural tooth after it is filed down, whereas dental implants require a titanium screw to be inserted into the bone of the jaw. Implants are a good solution for missing teeth or when damaged teeth cannot be saved. On the other hand, if the tooth can be persevered, a dental crown offers a less intensive and less expensive solution. Generally, full crown treatment is done over a period of several weeks and a series of appointments. At Clinique Dentaire de l’Avenir, we have the advantage of CEREC technology, which saves you time and money by enabling us to create and place a crown in one appointment. With CEREC technology, the design and creation of your dental crown is computer-aided. This simplifies the process and lets us preserve the vitality of treated teeth. Dental crowns are highly resistant and can last for 10 years or more if you care for them. To lengthen the life of your crowns, it is important to brush your teeth thoroughly, floss, and avoid sticky foods and hard foods that could fracture the crown. Questions? Call Us Today for a Consultation!